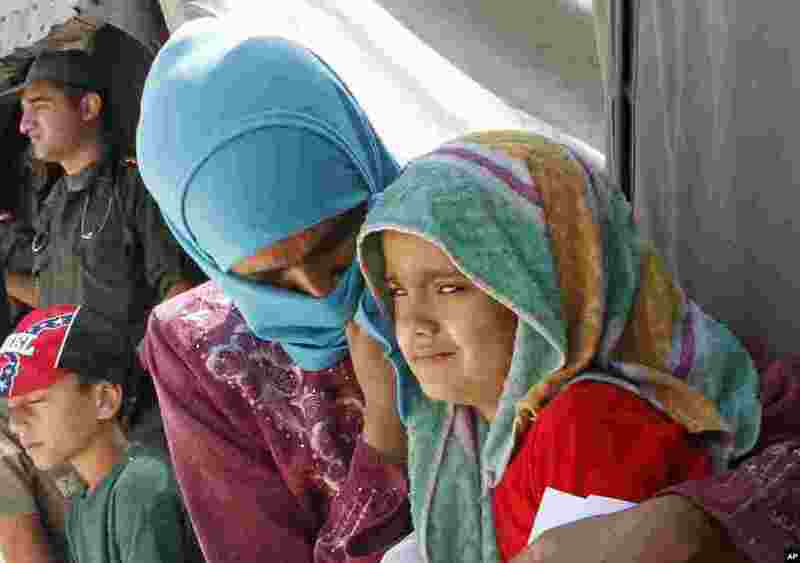 ٥ Syrian refugees wait outside a clinic at Zaatari Syrian refugee camp, in Mafraq, Jordan, Aug. 16, 2012. 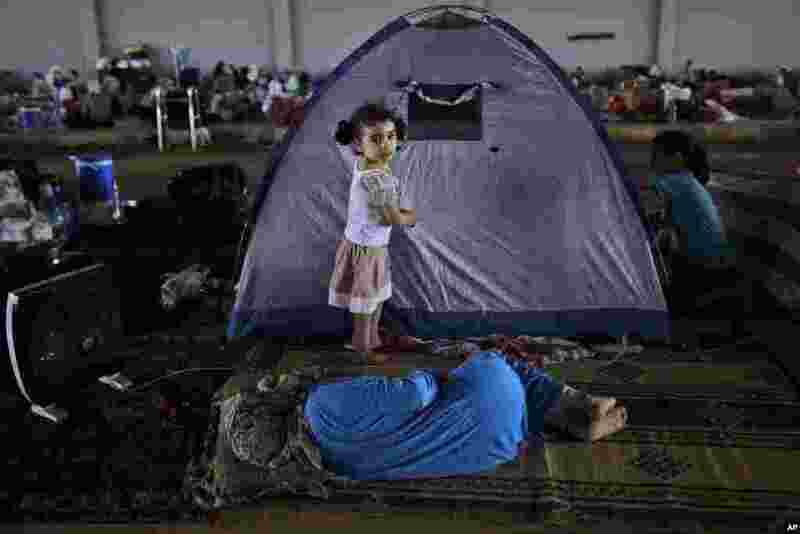 ٦ Syrian girl, Raghad Hussein, 3, who fled her home with her family due to fighting between the Syrian army and the rebels, stands by her family's makeshift tent, near Azaz, Syria, Aug. 26, 2012. 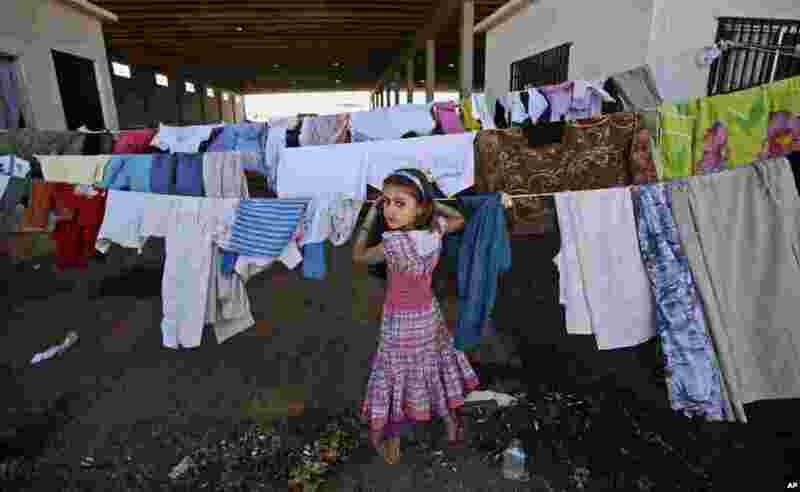 ٧ A Syrian girl, who fled her home with her family due to fighting between the Syrian army and the rebels, looks back while checking her laundry, near the Syrian town of Azaz, Aug. 26, 2012. ٨ An elderly Syrian man, who fled his home due to fighting between the Syrian army and the rebels, takes refuge at the Bab Al-Salameh border crossing, in hopes of entering one of the refugee camps in Turkey, near the Syrian town of Azaz, Aug. 23, 2012.